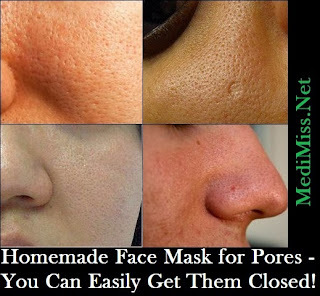 MediMiss Acne Facial Acne Scar egg white masks face mask face masks facial pores Home Remedies homemade cure for pores homemade masks for pores large pores Natural Remedies Pores Skin Care Homemade Face Mask for Pores - You Can Easily Get Them Closed! 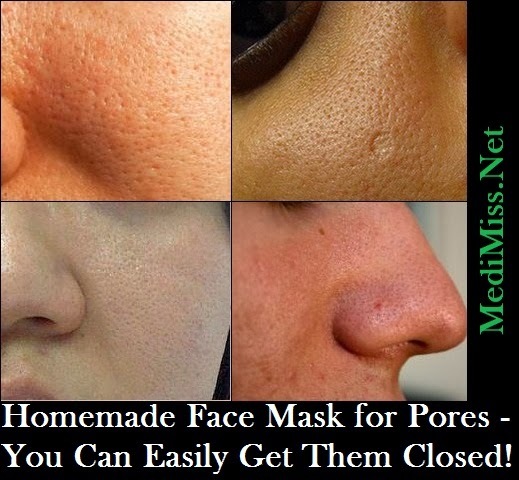 Homemade Face Mask for Pores - You Can Easily Get Them Closed! Homemade face masks for pores are just the thing you need to effectively improve the quality of your skin and get rid of those large pores for good. Large facial pores are not only ugly and unattractive, they are also visible proof that the skin is unhealthy and not getting as much nutrition as it should be. Facial pores are not bad in themselves as they are a normal component of the structure of our skin and are necessary for its optimal function. They act as ventilation outlets for the skin and are also passageways for the oily substance 'sebum' which lubricates and protects the skin's surface. A problem only arises with these pores when they begin to have an abnormally enlarged appearance and give the face quite an unattractive look. The enlargement of these pores are usually more common in adolescents than in adults and also in women than men, and this is often as a result of hormonal changes. Large facial pores could also kickstart other skin disorders such as acne, pimples, blackheads, whiteheads, and so on. Homemade face masks are great as they are effective in reducing the size of facial pores to normal and thus preventing these skin problems. While there are many commercial and synthetic products available to treat large pores, homemade face masks for pores often present a healthier, less risky choice. Less risky because they are free of unknown chemicals and dangerous additives that may sometimes be present in synthetic skin care products. Some of the most common homemade remedies for large pores involve the use of hot water, ice, eggs, and lemons. To use hot water; pour some boiled, steaming water in a large, shallow bowl and place your face some inches above it as to allow the steam to reach your facial skin. Leave your face in this position for about 20 - 30 seconds at a stretch. Repeat this procedure three to five times in one session, and about two to three sessions every week. The steam actually clears the accumulated sebum within the pores, allowing them to close and shrink in size. The freezing effect of ice can also be used to diminish the size of large pores as the low temperature causes the skin to contract thus closing the pores. Rub the ice gently on the affected area for 20 - 30 seconds at a stretch. Repeat regularly for best results.